EAG has extensive experience analyzing elemental impurities in pharmaceutical products. Our dedicated cGMP laboratory features six ICP-MS instruments with multiple microwave digesters. With over 20 years of experience with elemental analysis of drug products, APIs and excipients, EAG scientists know how to help you choose the best route to meet the latest regulations. Limits for the metals are based on permissible daily exposure (PDE) which varies for each metal based on its toxicity and the route of administration of the final Drug Product. ICP-MS (Inductively Coupled Plasma Mass Spectrometry) is the best choice for elemental metals analysis due to its higher sensitivity, specificity and unique ability to monitor all metals simultaneously. 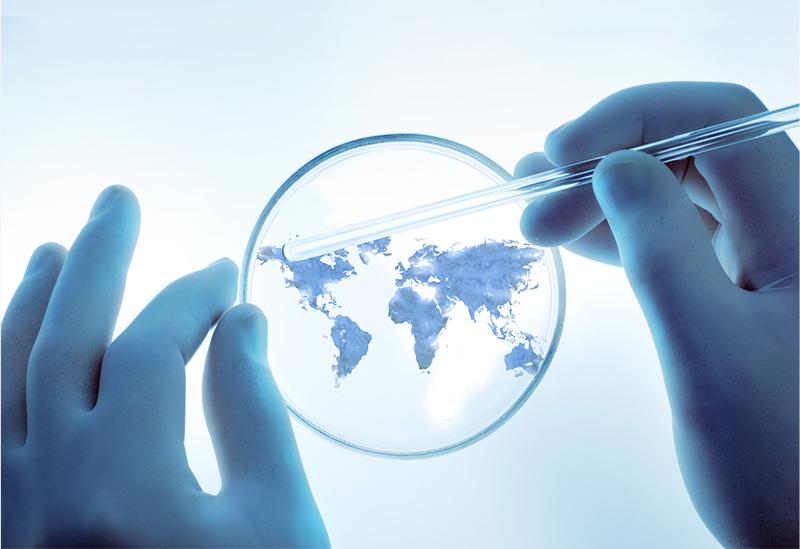 EAG has years of experience developing sample preparation methods suitable for pharmaceutical ingredients and products. 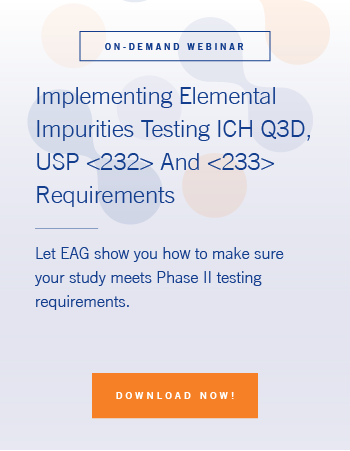 EAG Laboratories offers broad experience, extensive capacity and scientific know-how to help your company meet USP requirements for elemental impurities.